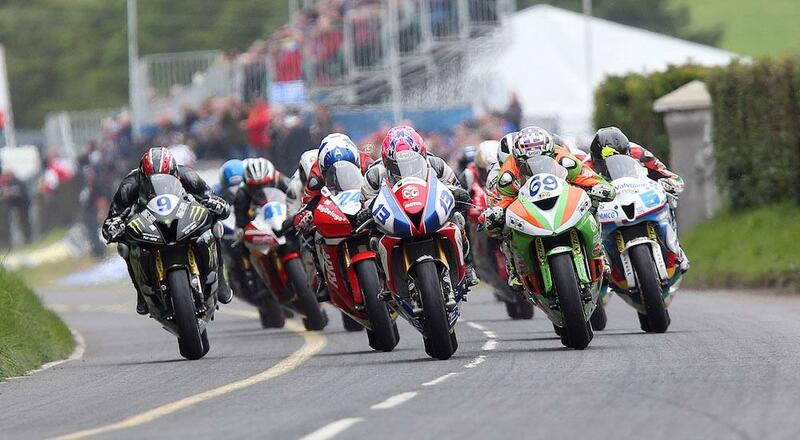 Organisers of the Ulster Grand Prix have come together to oppose plans for a 96-acre cemetery on the circuit. According to the plans, the only access to the graveyard would be via the Dundrod circuit, which, according to the Ulster GP bosses would cause havoc during the race period, in which the roads are fully closed. “This proposal is fundamentally incompatible with the long established Ulster Grand Prix circuit,” said Robert Graham, Chairman of the Dundrod & District Motorcycle Club. “This event is one of the biggest annual events in the road racing calendar, attracting tens of thousands of visitors from across the world. The economic impact is significant; spectator spend alone generates an estimated £2.5 million every year, and there are more than 10,000 commercial bed nights. Which British legend would you invite to your fantasy dinner party? “In social and cultural terms, the Ulster Grand Prix is part of the established fabric of the area and all steps must be taken to protect this important local event. “The applicant has suggested the concept of closing the cemetery on the days of racing, which is simply not practical. In planning terms, such a condition would be viewed as unreasonable and we believe this suggestion to be meaningless because it is clearly unsustainable. “There’s also the flexible road closing order ‘Road Races (Northern Ireland) Order 1986 Amendment Act (Northern Ireland) 2014’ to consider, whereby we can swap the day the roads close with 24 hours’ notice to avoid cancellation of the race altogether due to inclement conditions. “What would we then do if we changed racing from a Thursday to a Friday only to discover that numerous burials had been planned for that day? It would create utter chaos and an impossible situation,” he added. Des Stewart, Chairman of the Ulster Grand Prix Supporters Club said: “The cemetery proposal will serve the Greater Belfast area and with such a large population base, it is likely that there would be frequent funerals and visitors to graves on a daily basis, just like at Roselawn. “It is customary in Northern Ireland for funerals to be held within three or four days of a death, and for daily access to be afforded to those wishing to visit graves. The Dundrod & District Motorcycle Club and the Ulster Grand Prix Supporters Club invite local residents and the wider racing community to write to the council voicing their objections. The address is: Local Area Planning Office, Lisburn & Castlereagh City Council, Island Civic Centre The Island, Lisburn, BT27 4RL. Quote planning reference LA05/2016/0700/O.